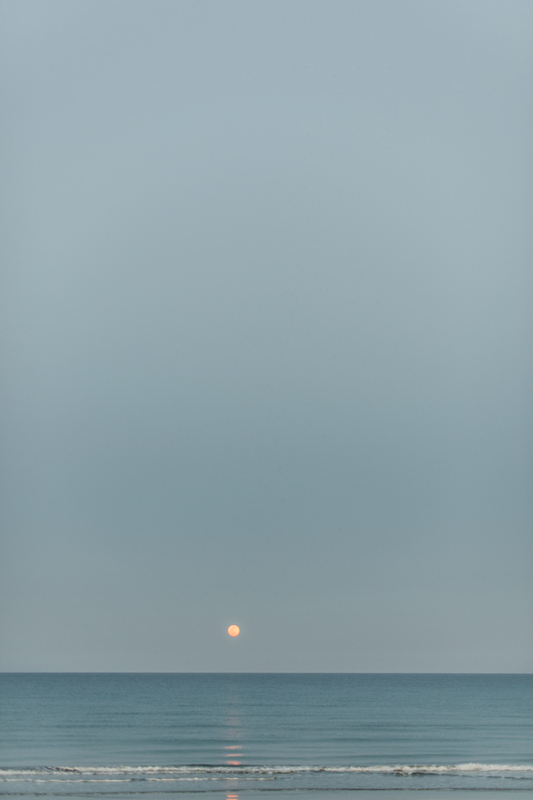 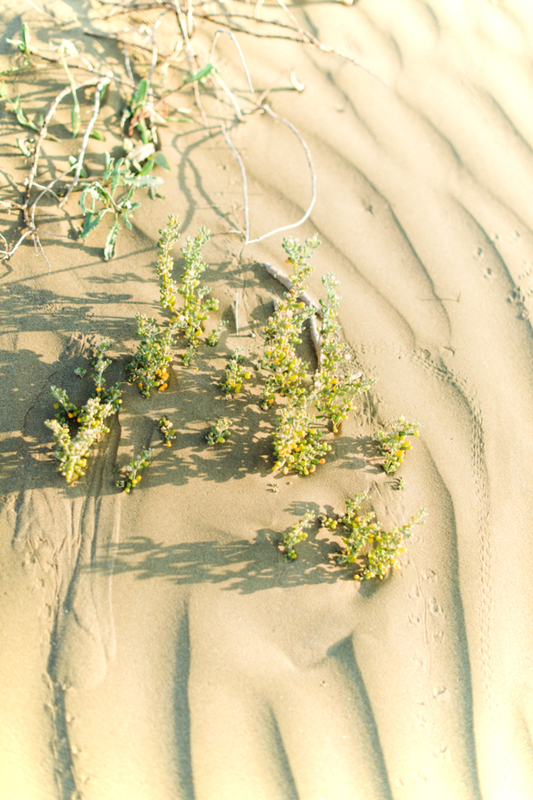 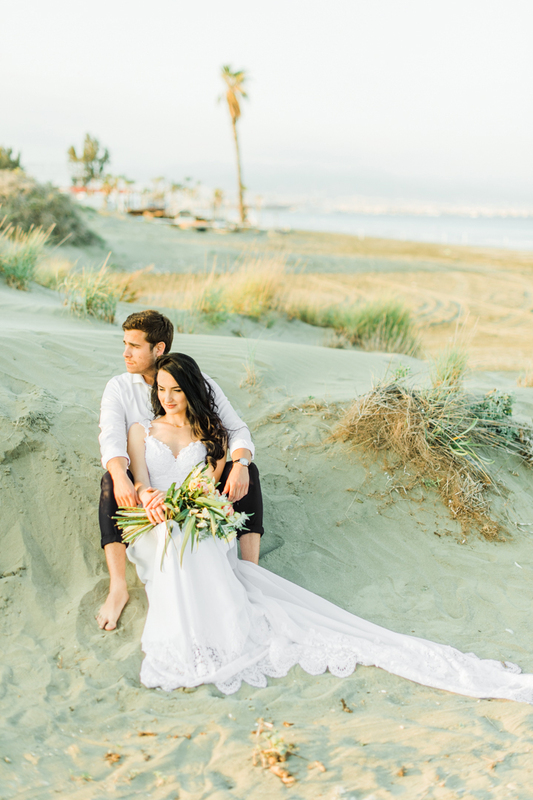 Our story of Spanish love was set among the sand dunes of Lady’s Mile beach with the ocean gently lapping the shore and the glorious burning sun giving way to a spectacular sunset. 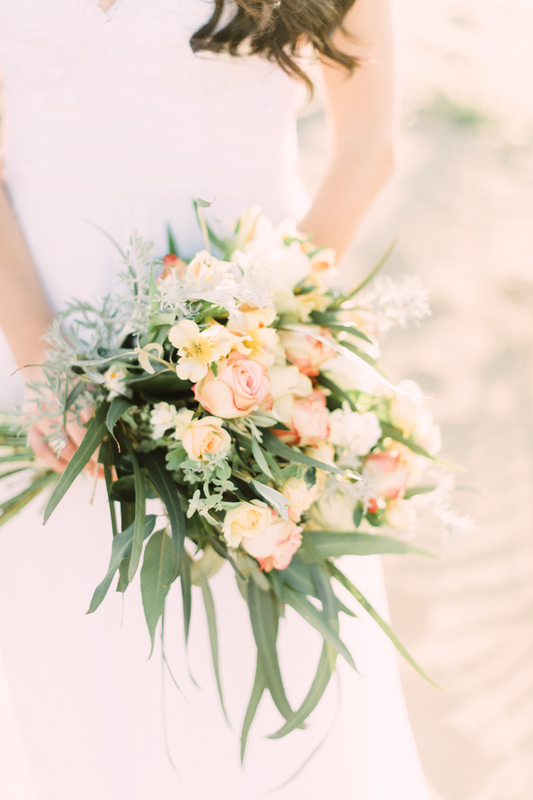 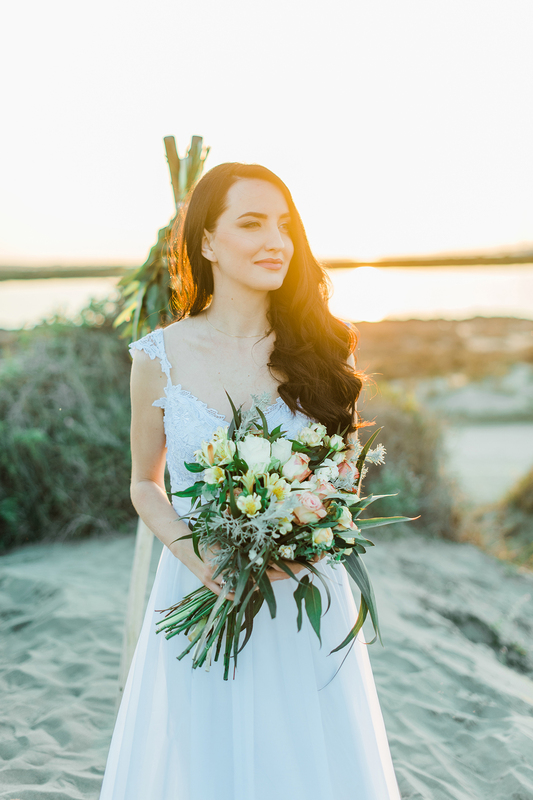 Our model bride, Inna Bulavinova, wore a simple romantic wedding dress by Lito Constantinou and carried a wedding bouquet of soft pink roses for her wedding flowers. 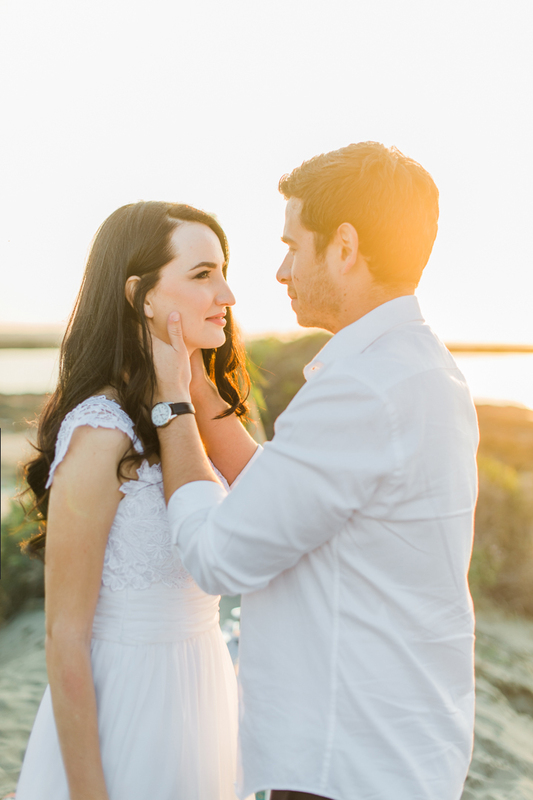 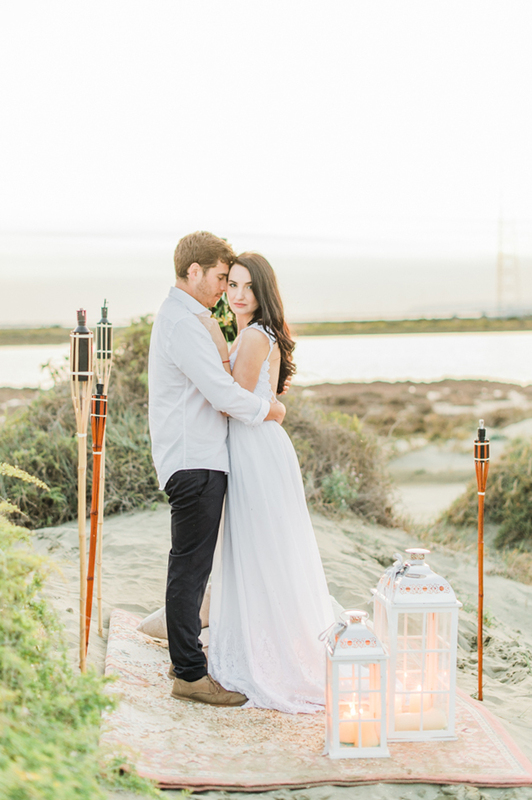 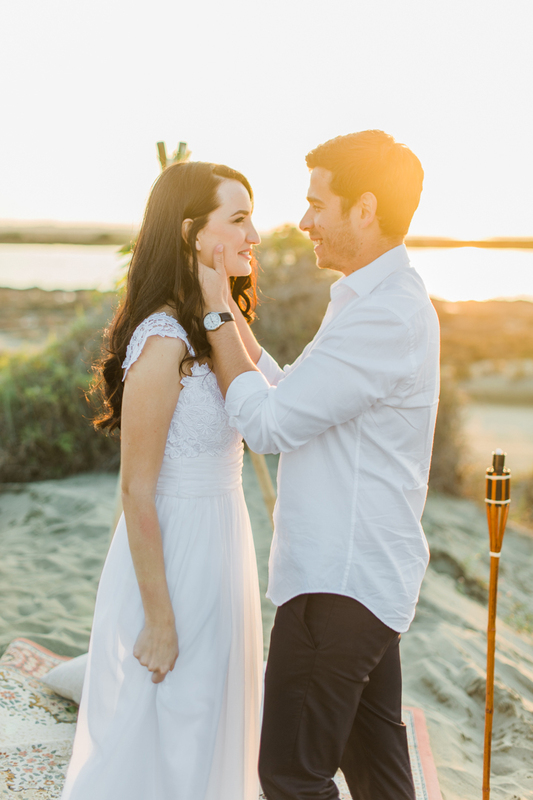 This was a gentle and stylish shoot with the focus on the love between the happy couple. 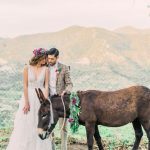 This is the kind of wedding photography that needs only the beauty of the landscape and the romance of the day to capture a perfect moment in time. 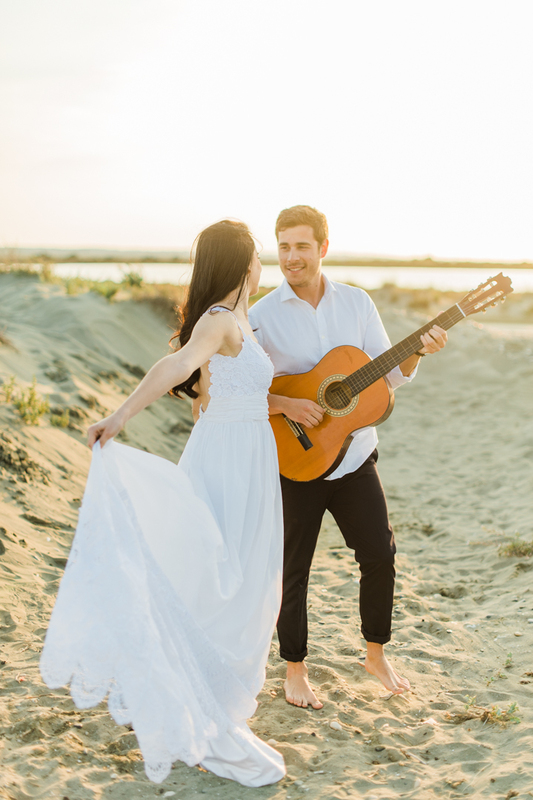 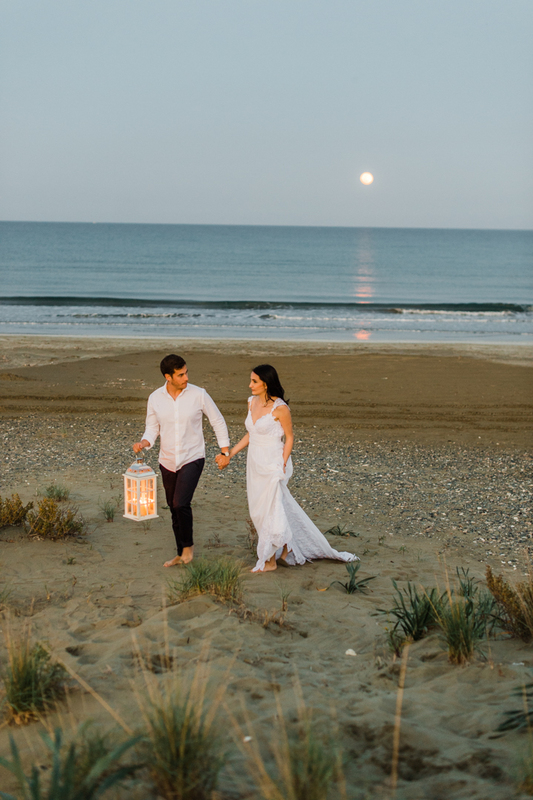 As our model groom Jorge Cabrera, strummed his Spanish guitar, the stars above shone and the moonlight cast its rays over our beautiful and simple Cyprus wedding. 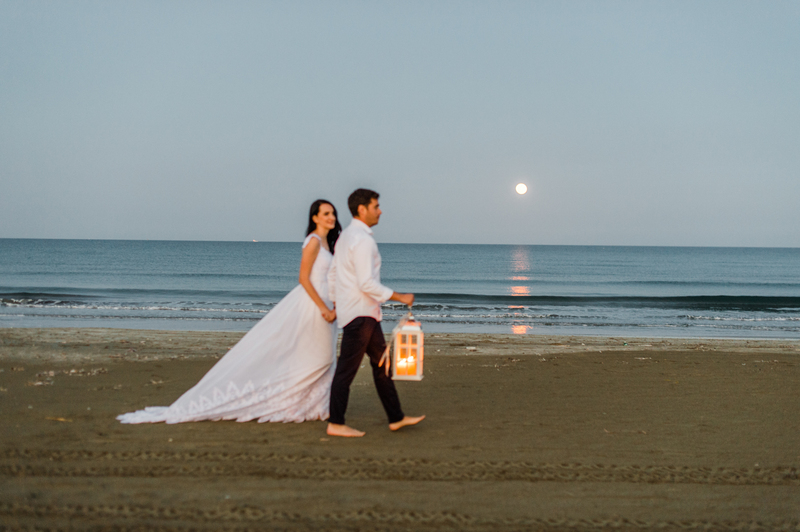 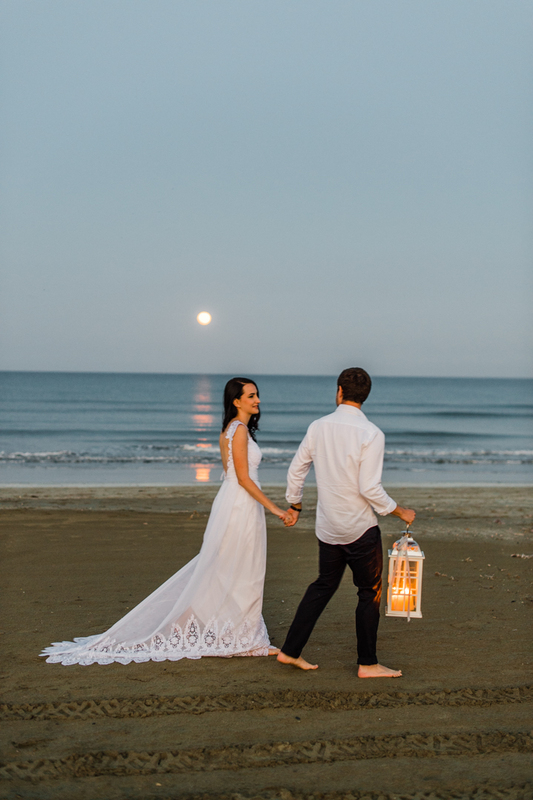 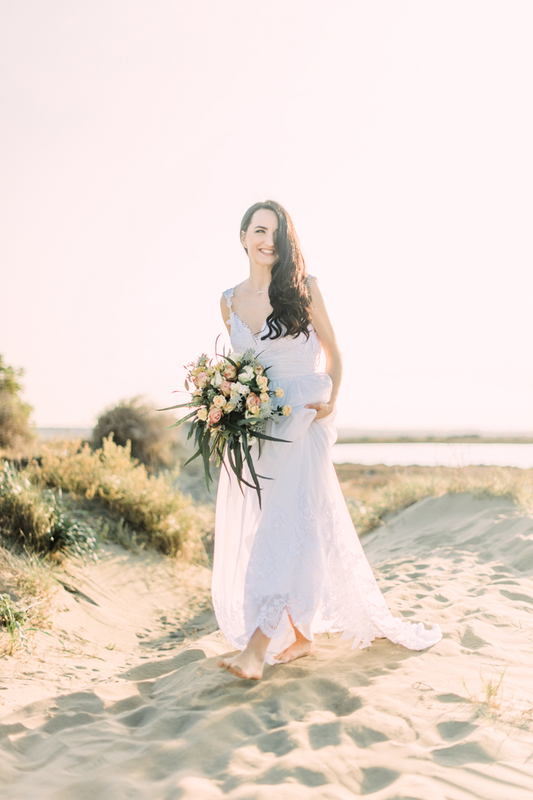 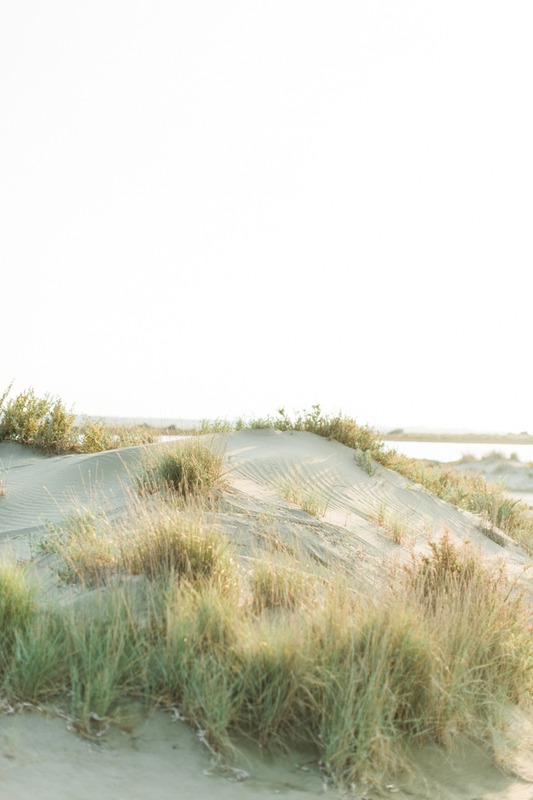 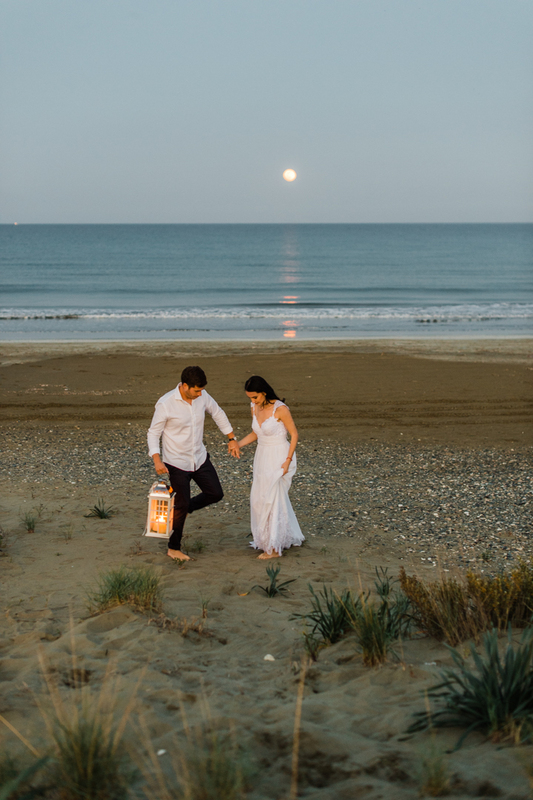 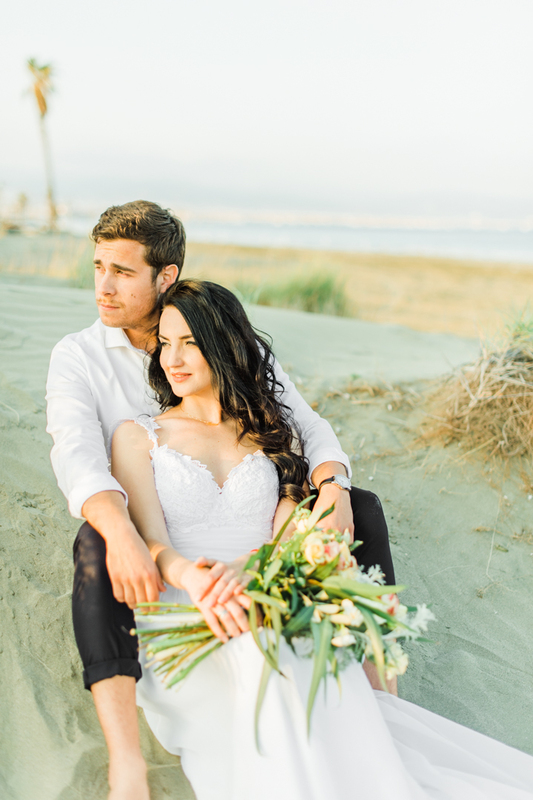 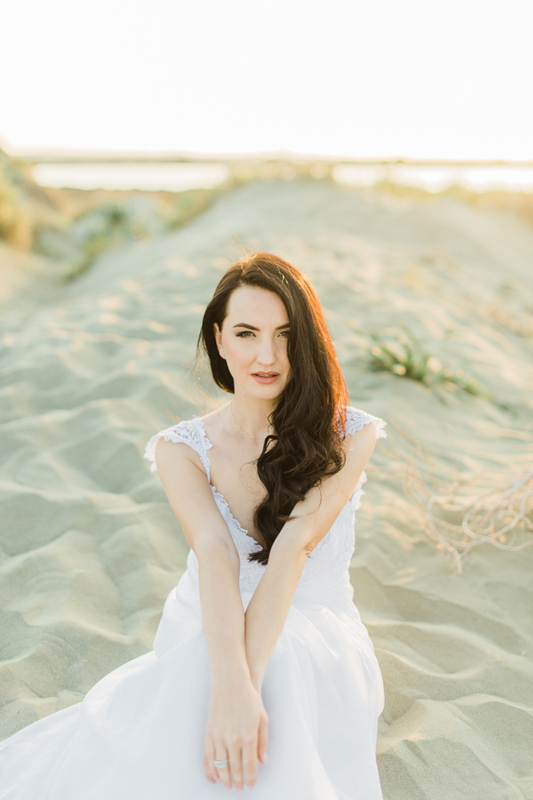 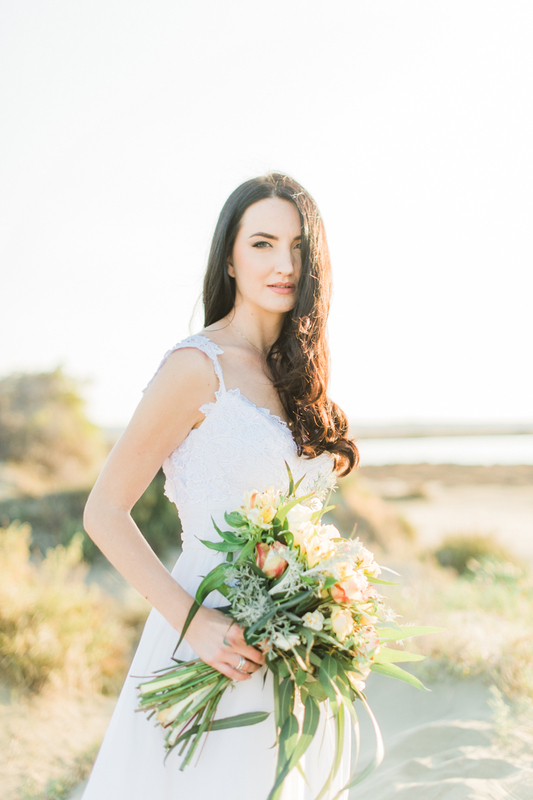 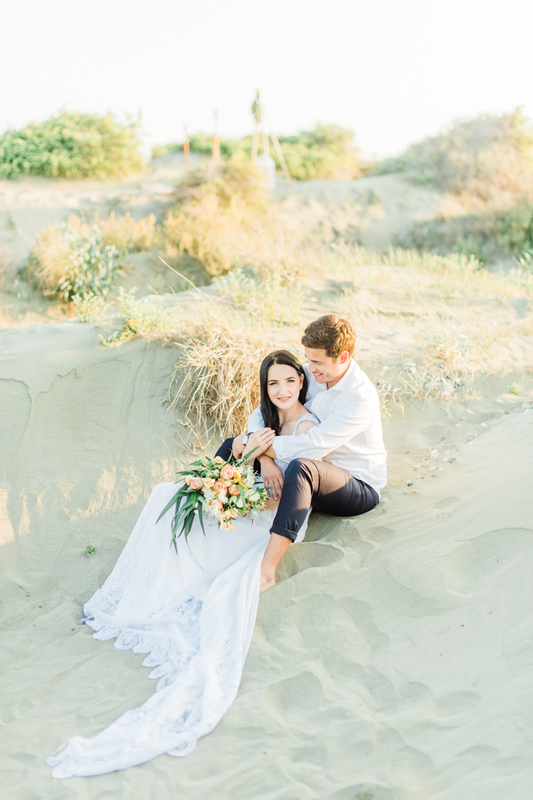 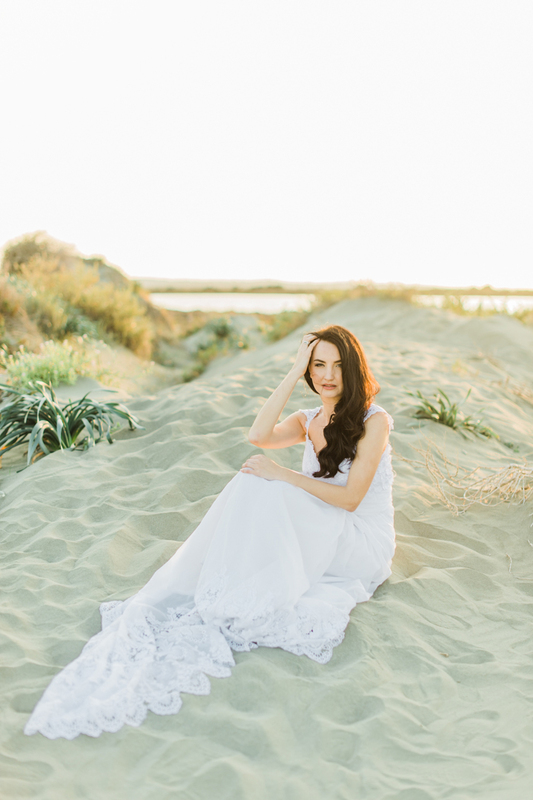 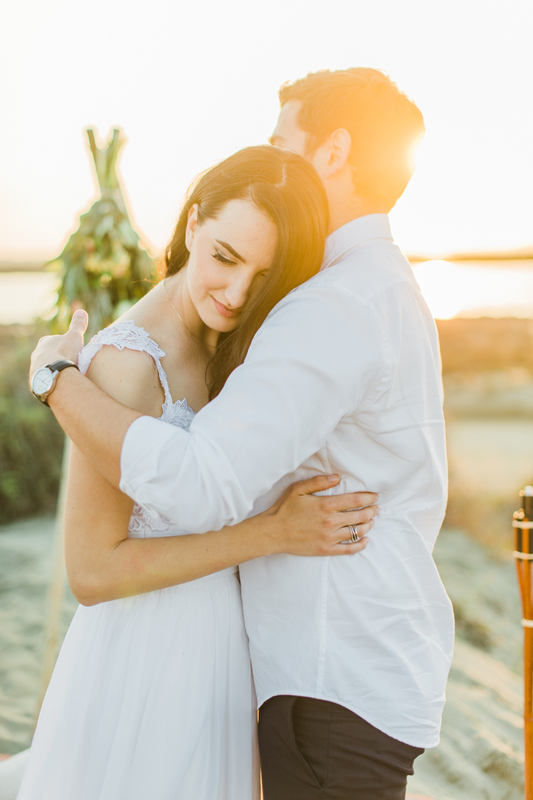 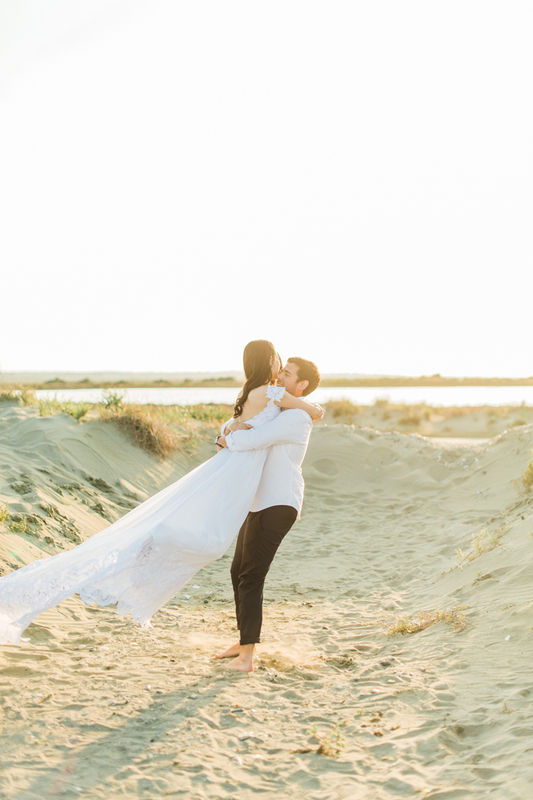 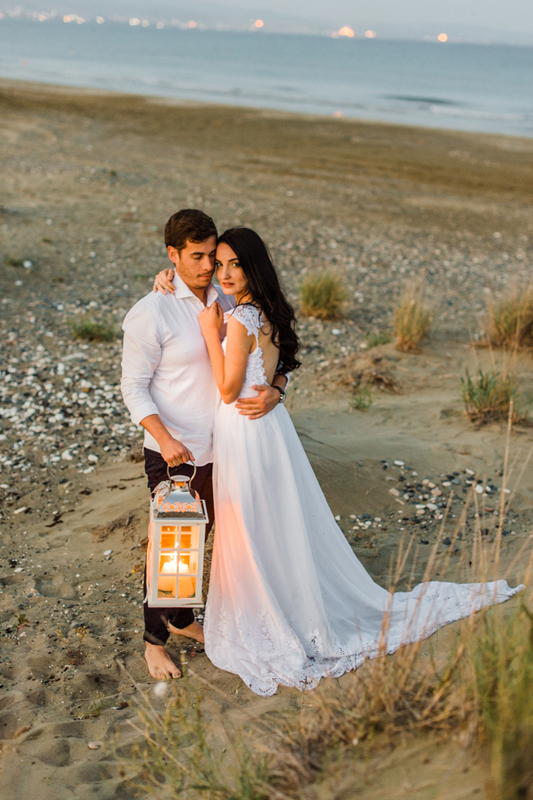 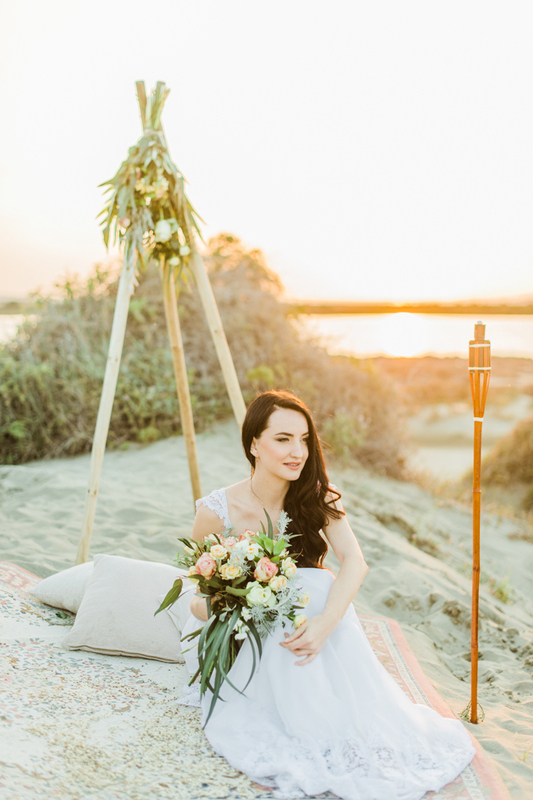 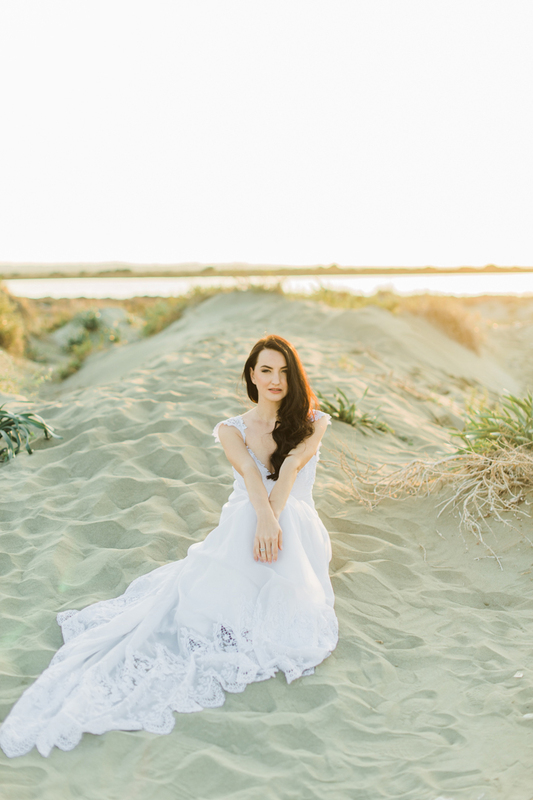 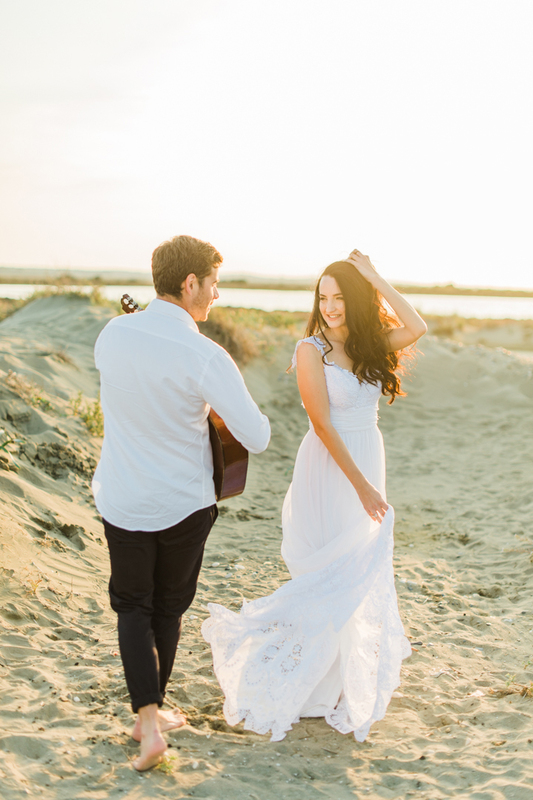 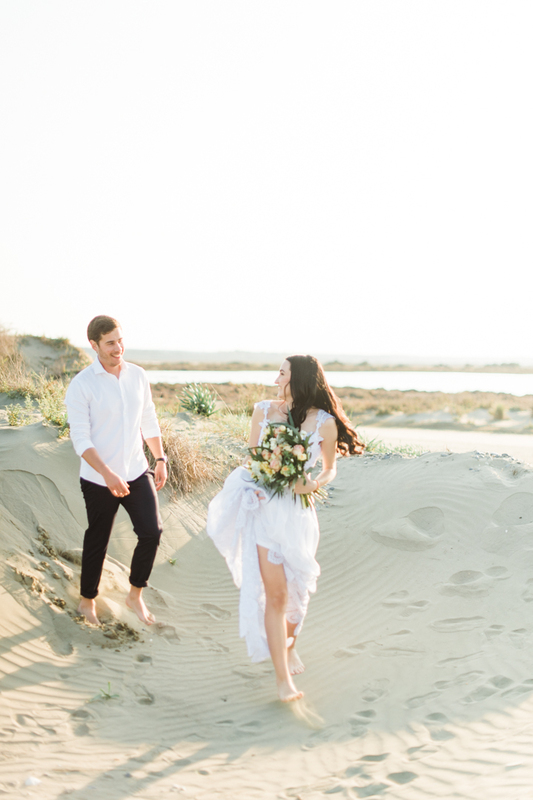 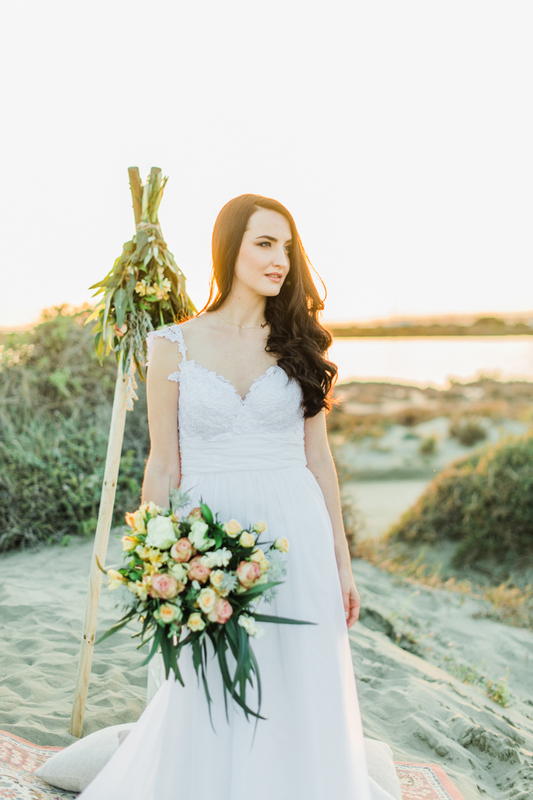 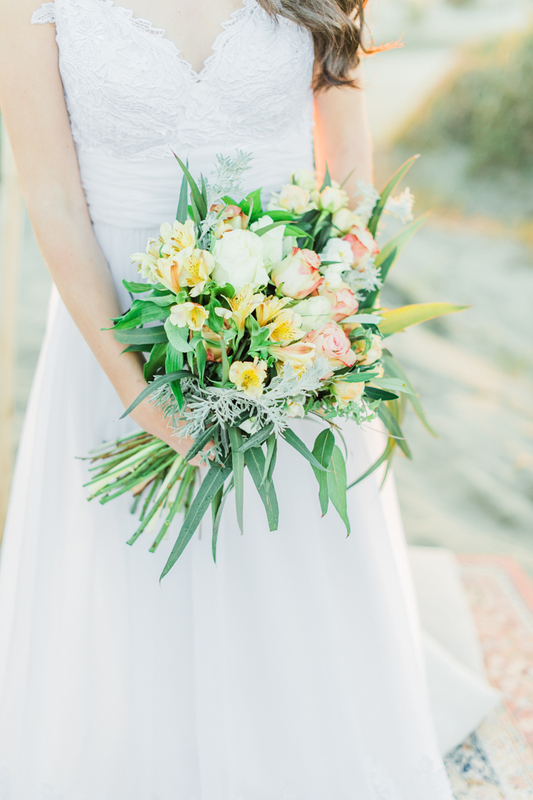 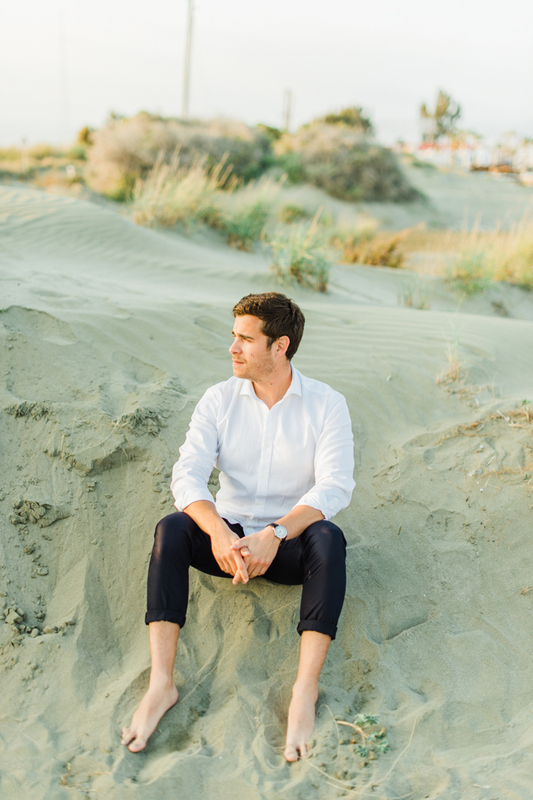 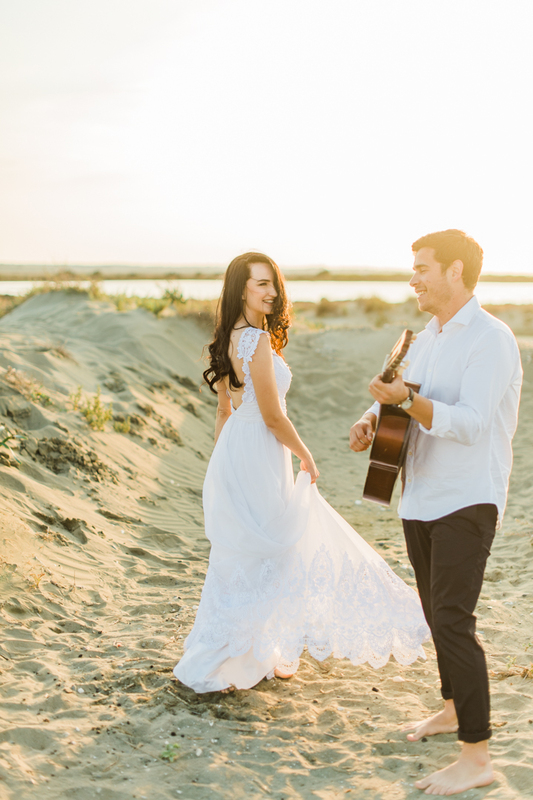 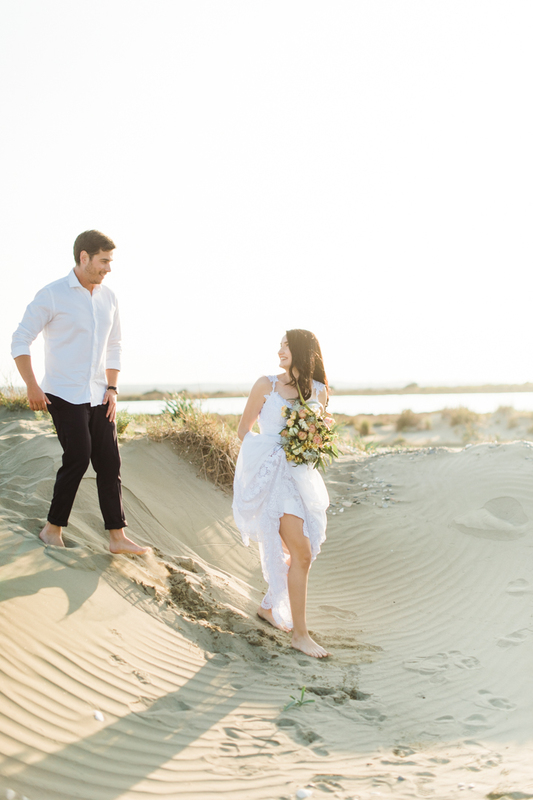 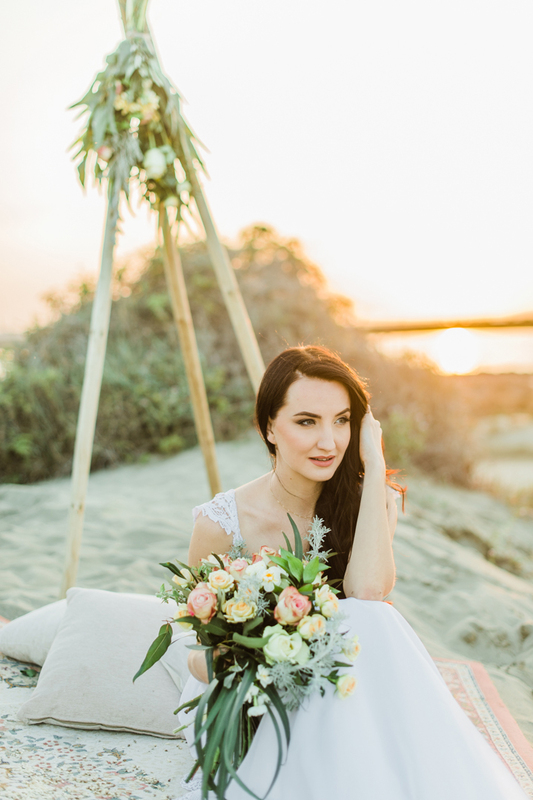 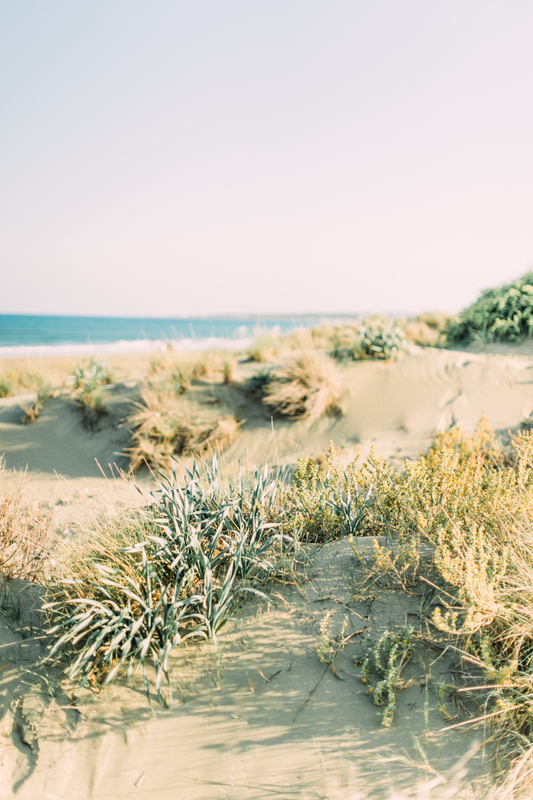 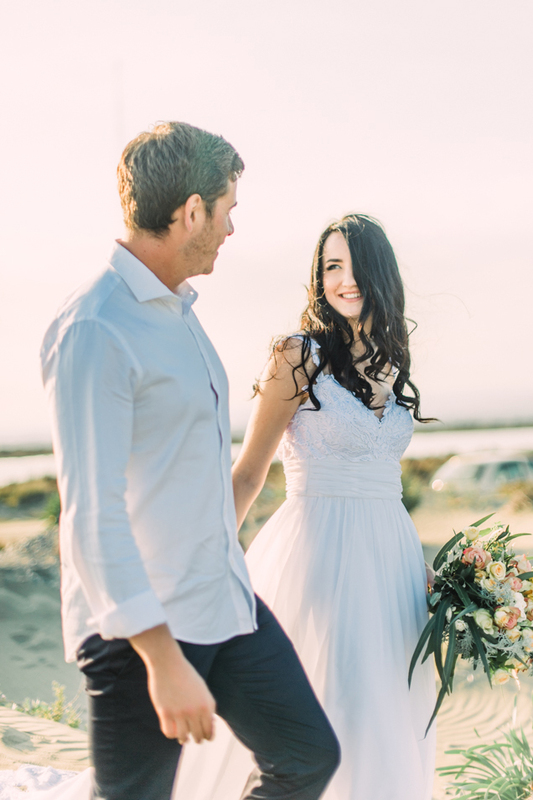 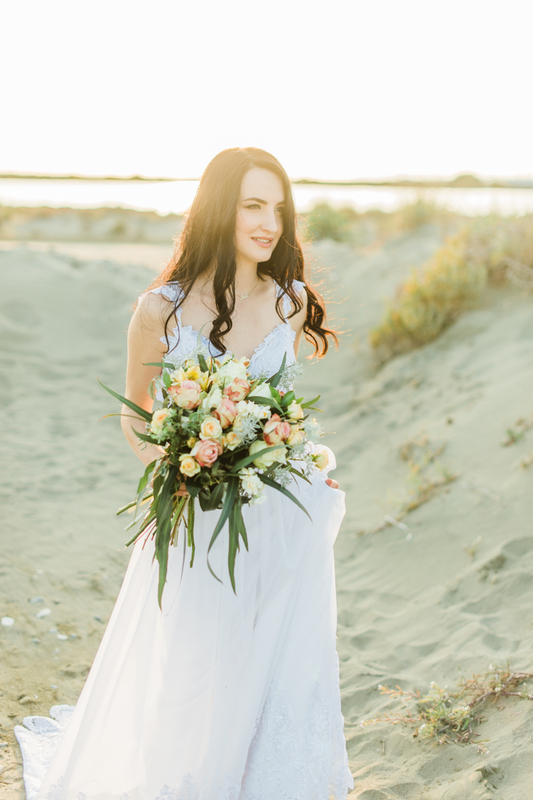 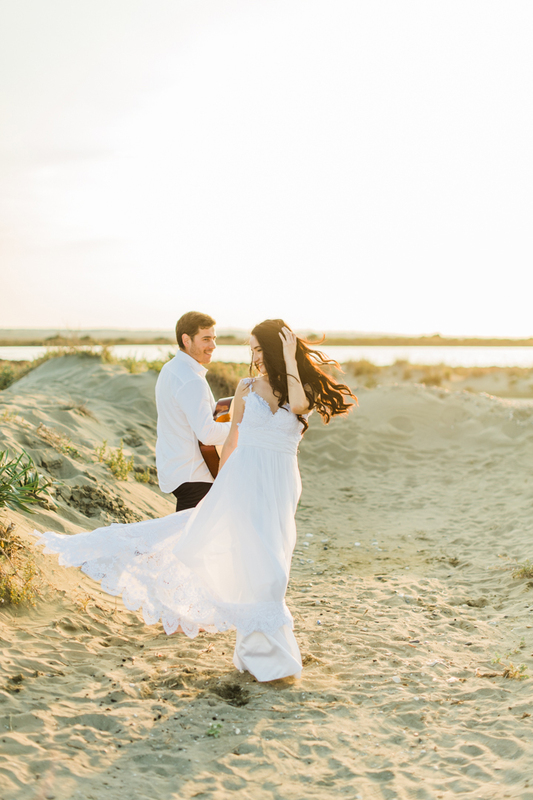 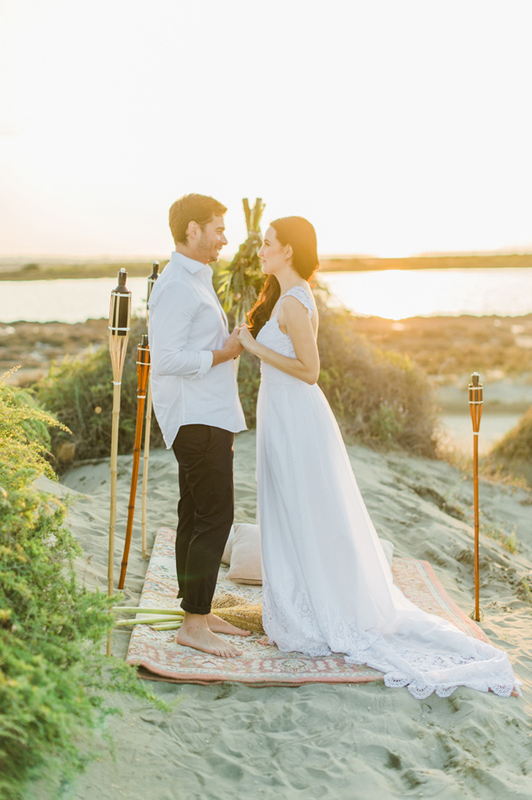 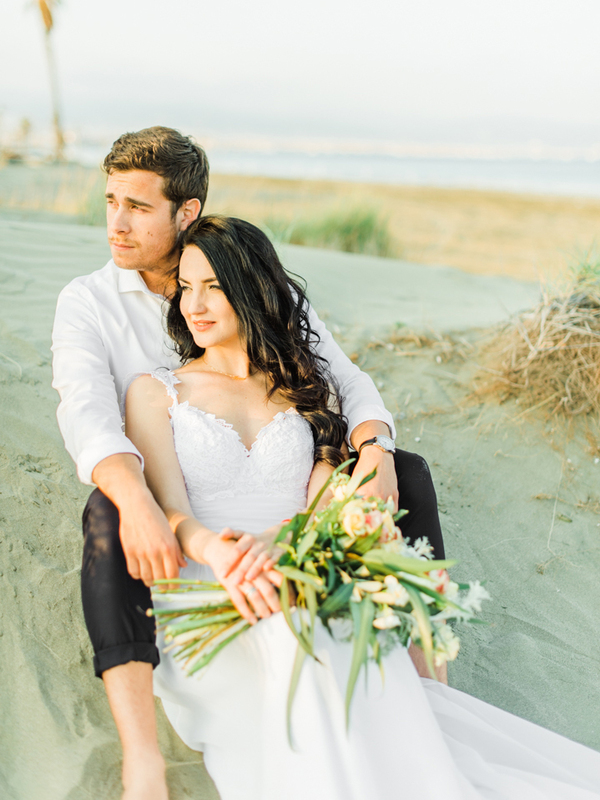 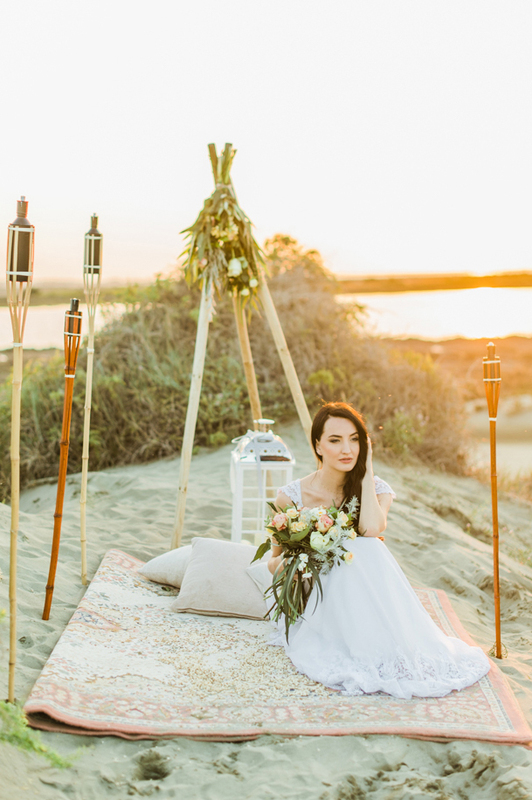 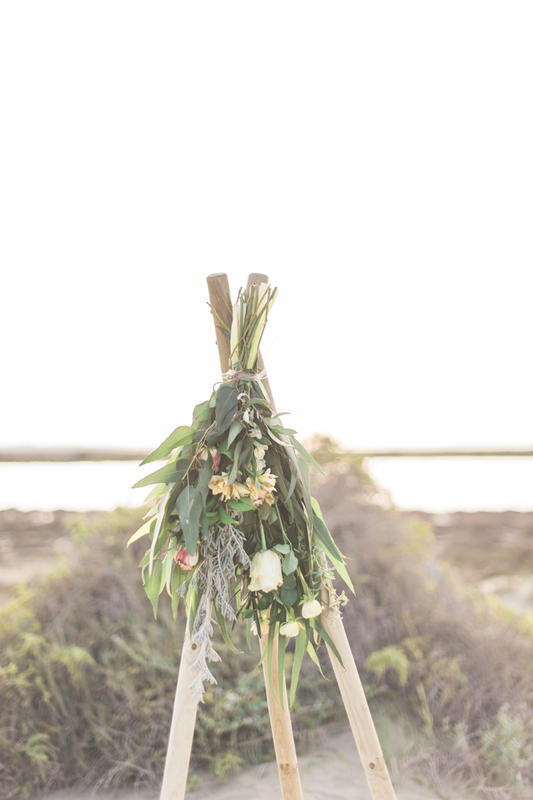 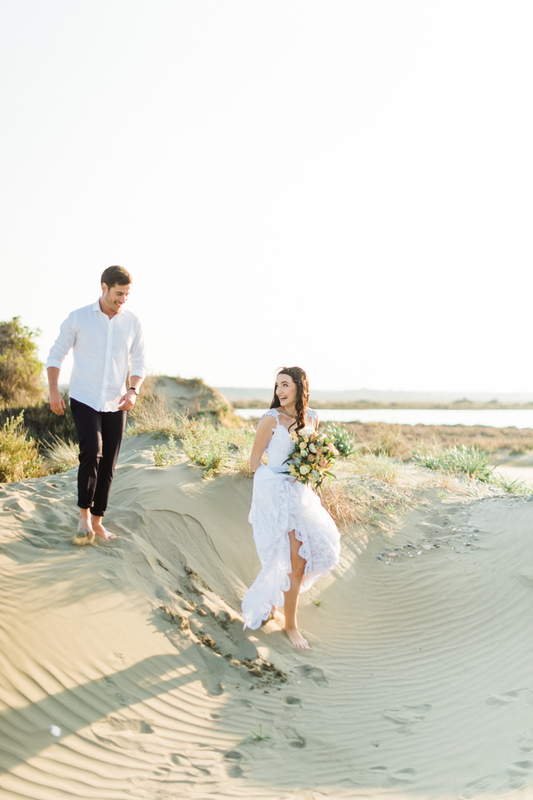 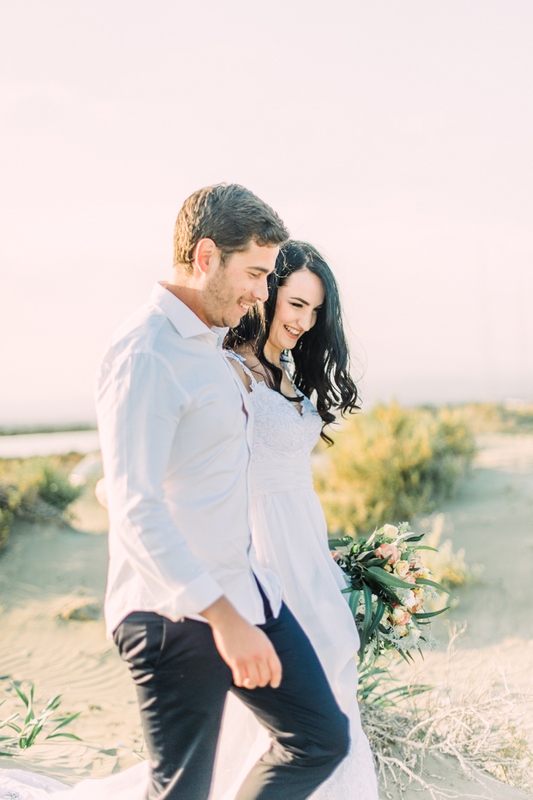 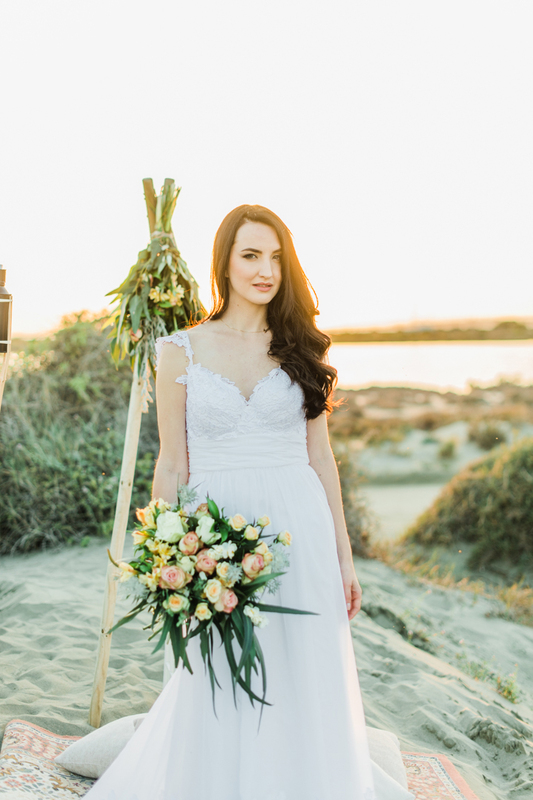 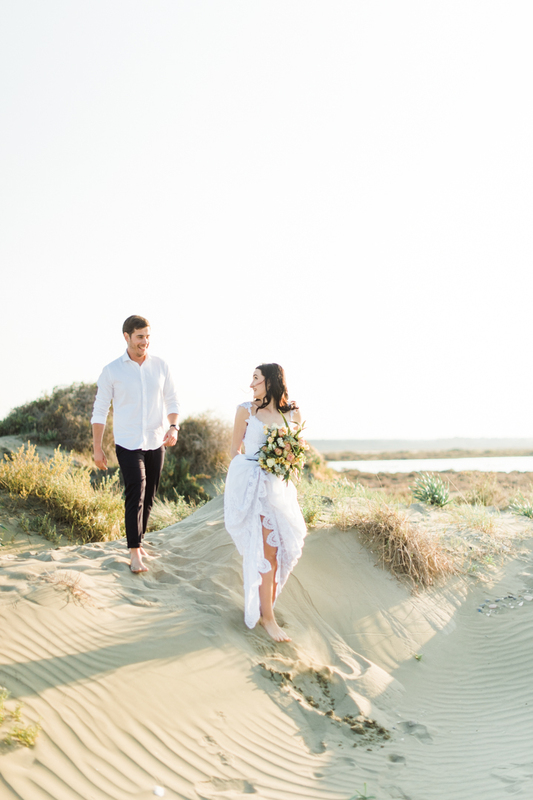 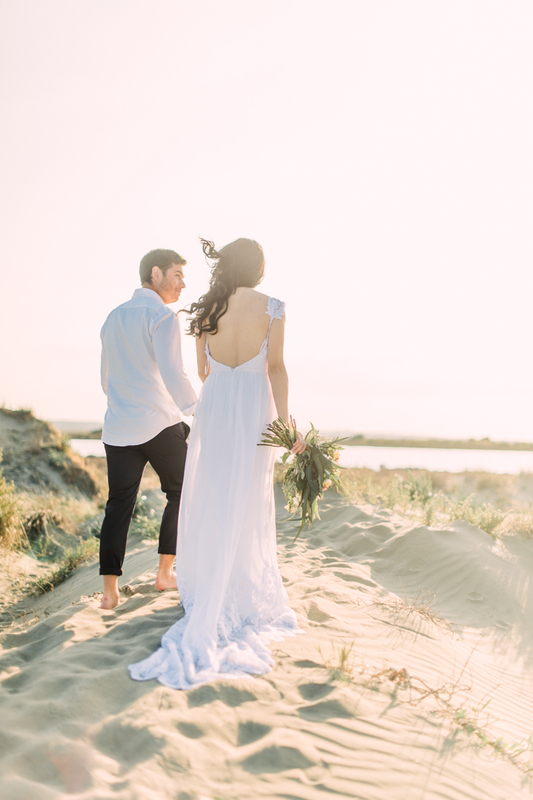 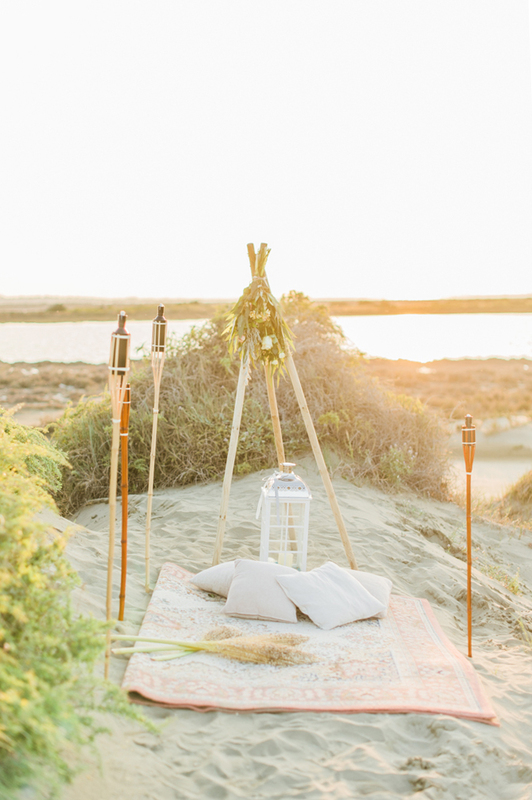 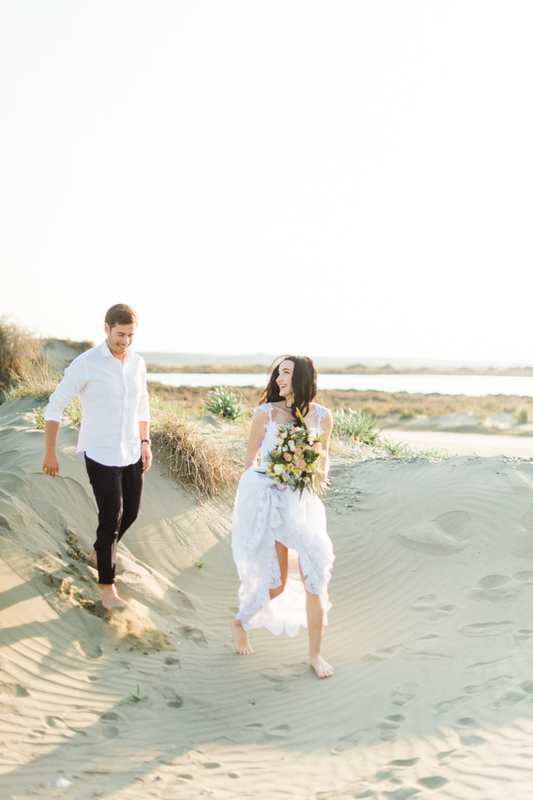 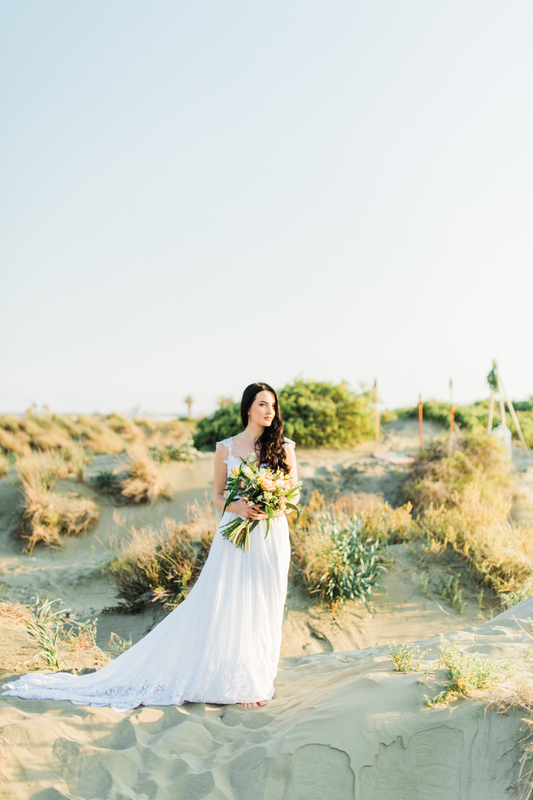 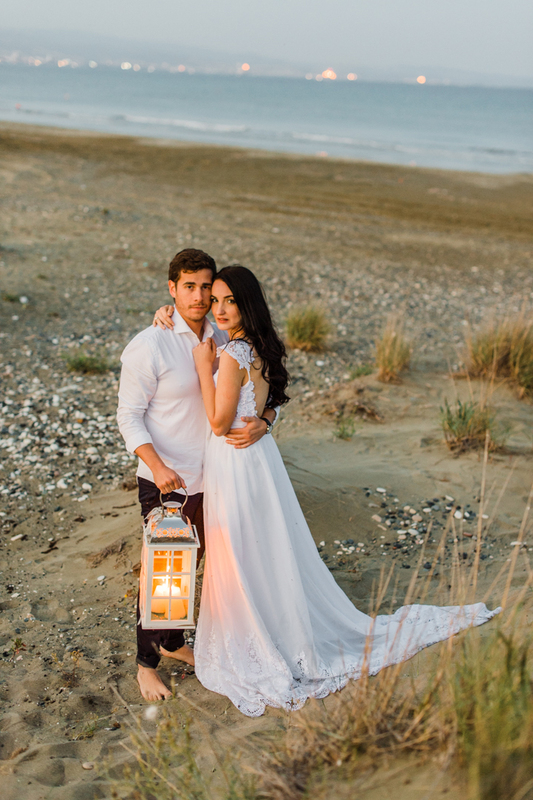 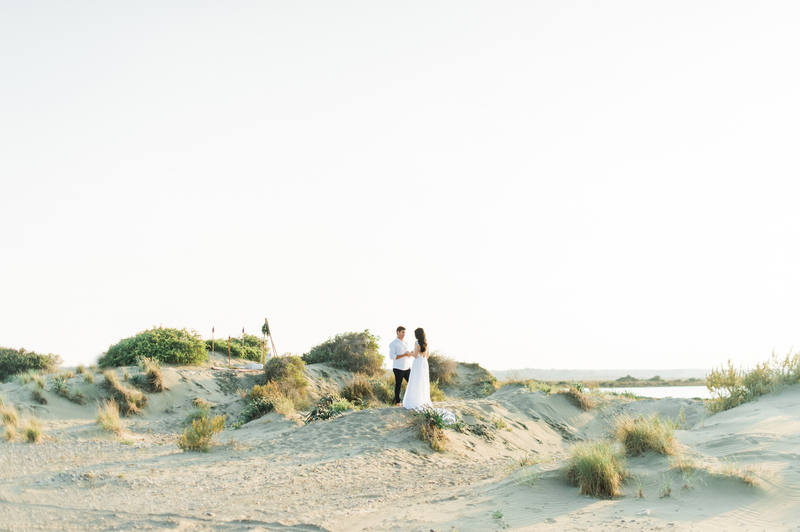 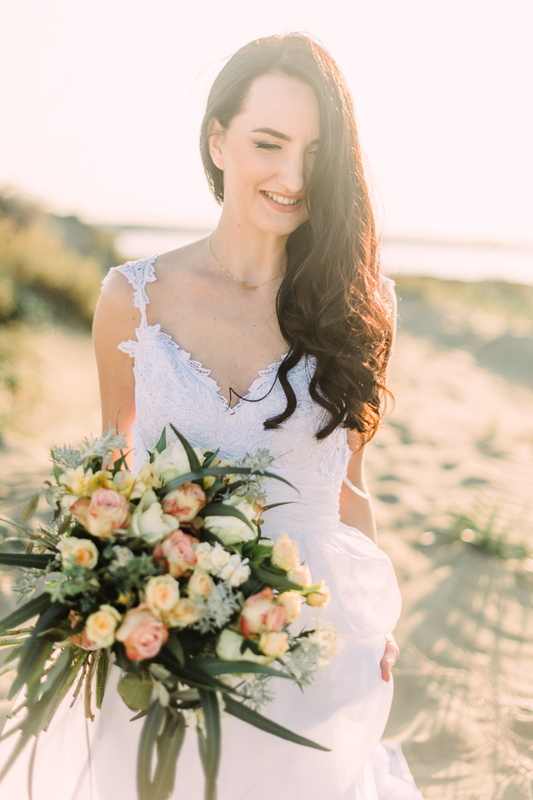 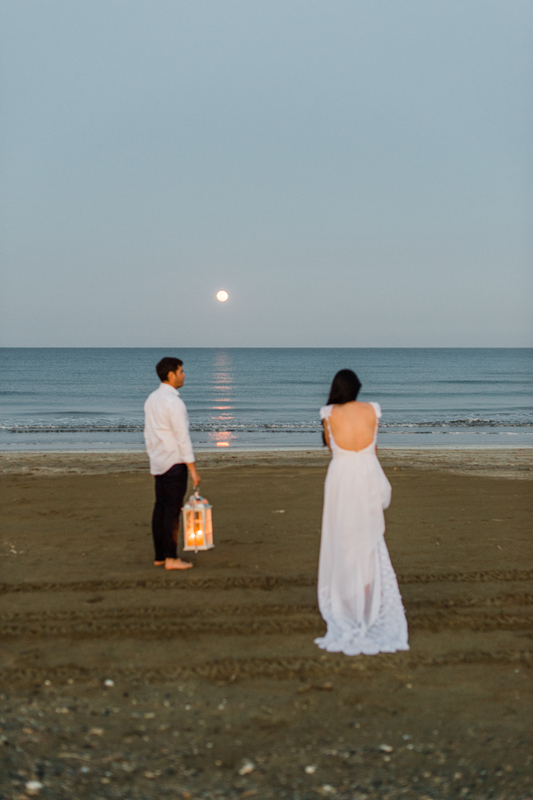 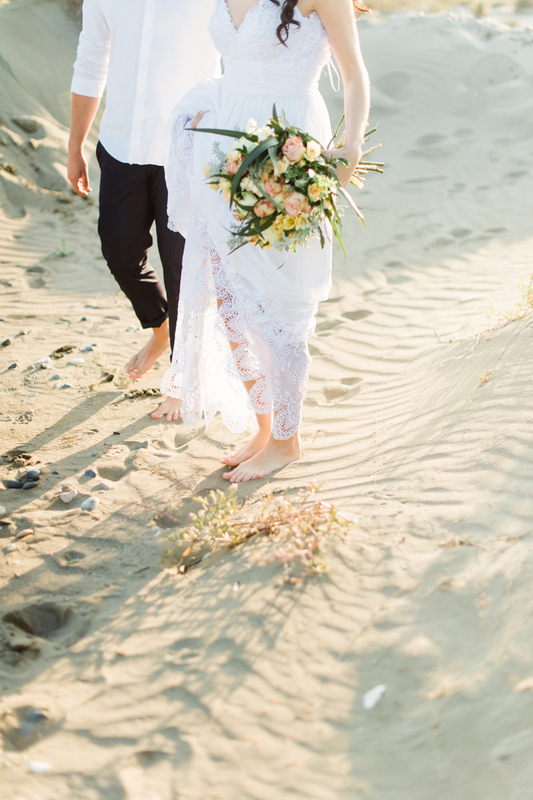 The perfect romantic setting and the beauty of this Cyprus wedding photography will stay with all of us who were involved in making this happen, just like the sand between our toes and the sound of the calm lullaby sea.